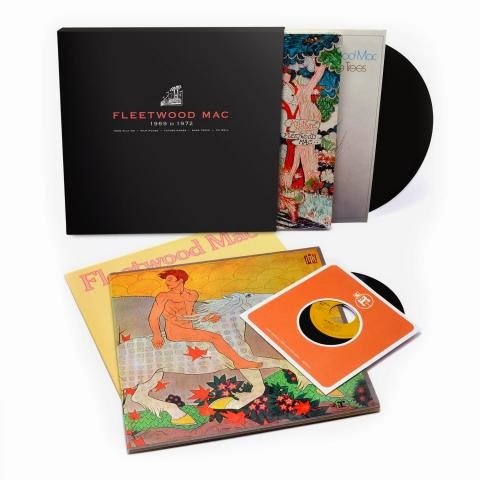 The highlight of the four-album, vinyl collection is the first re-mastered edition of “Then Play On,” Fleetwood Mac’s 1969 debut album on Reprise Records. This is a raw, young blues-fueled Fleetwood Mac and the sense of urgency to their music is on full display. The opening, bongo-backed track “Coming Your Way” bristles with pace and the all-out house rocker “Fighting For Madge” showcases guitarist Peter Green as a force to rival Eric Clapton of that era. “Future Games” is another winning platter, though it presents a softer Fleetwood Mac. By 1971 we find them putting together the less edgy sound that would prove to be the backbone to their radio mainstay hits to come. “Fleetwood Mac: 1969 to 1972” aptly presents the formative years of one of the most successful bands in history.